The cabaret performer Charles Lindberg. It’s “Ludwig Live!” at the Berkshires’ newest performing arts venue, Seven Hills Inn Cabaret (40 Plunkett Street, Lenox, Mass). Created by Emmy Award-winning comedic writer Nancy Holson of “The News in Revue” fame, “Ludwig Live!” is an irreverent song-filled cabaret about composer Ludwig von Beethoven. Produced by Holson Productions, the show stars Charles Lindberg as Beethoven, Katherine Pecevich, and Robin Gerson Wong. It will run June 30 (press night) through August 30 every evening at 8:30 pm (except Wednesdays), with an additional 11:00 pm late-night performance on Saturdays. Doors will open at 7:30 pm for pre-show cocktails and desserts. Tickets are $40 and can be purchased online at www.ludwiglive.com, in person at the Seven Hills Inn front desk, or by calling 866.811.4111. Discounts available for groups and Seven Hills Inn guests. 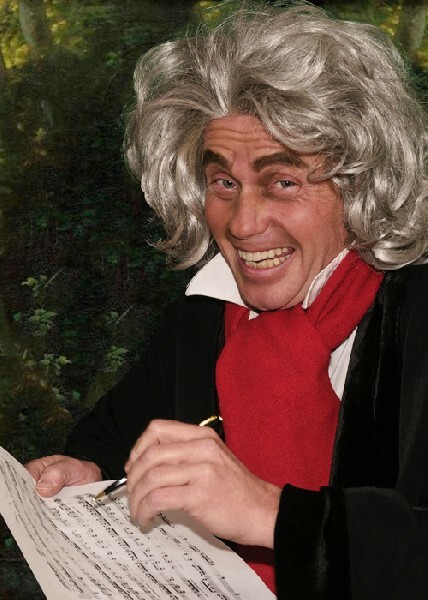 Dressed in period regalia and ensconced behind a grand piano, Ludwig von Beethoven will entertain Berkshire audiences this summer with his swinging new lounge act, “Ludwig Live!” To the tune of his famous melodies (“Moonlight Sonata,” “Für Elise,” “Ninth Symphony,” etc. ), he will sing about his angry mistresses, his rival Mozart, and his mentor Haydn, as well current events, including the latest celebrity shenanigans, politics, rap music, and last night’s concert at Tanglewood. Nancy Holson is well known to Berkshire audiences for her hit comedy, “The News in Revue,” which ran for 15 seasons (1993 to 2007) in the Berkshires as well as played Off Broadway and across the country in Hollywood, Miami, Sarasota, Vail, Greenwich, and Westport. The show has won five Emmy Awards for its series of PBS specials, two of which were for her writing, and has been featured on National Public Radio. “Ludwig Live!” stars Broadway pianist and award-winning cabaret performer Charles Lindberg as Beethoven. Mr. Lindberg has performed with and accompanied such notable stars of stage and screen as Liza Minnelli, Jerry Orbach, Bernadette Peters, Jim Dale, Glenn Close, Mickey Rooney, Ann Miller, Debbie Allen, Carol Burnett, and Albert Finney. He wrote the lead sheets with Jerry Herman for “La Cage Aux Folles” (which won three Tony Awards, including Best Musical Revival). 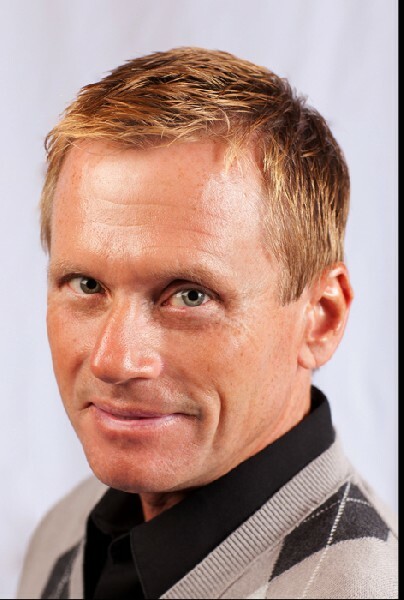 He has headlined cabarets at nightclubs throughout New York City, among them the Waldorf Astoria, Rainbow Room, Caroline’s, Don’t Tell Mama’s, and Reno Sweeney’s, and he has won both the Bistro Award (Backstage Magazine) and the Nightlife Award for Best Entertainer in Manhattan. Katherine Pecevich will play assorted roles including, among others, all of Beethoven’s girlfriends, Mozart, Elvis, Napoleon Bonaparte, Justin Bieber, and Ludwig’s mother. A five-year veteran of “The News in Revue,” Ms. Pecevich is originally from the Boston area and is a musical theater graduate of the Boston Conservatory. She has performed regionally at The Theater Barn and Berkshire Theatre Festival. Seven Hills Inn Innkeeper Robin Gerson Wong will make a cameo appearance in the role of Innkeeper. Wong’s professional singing, dancing, and acting credits include the Broadway production of “Good News,” starring in Atlantic City musical reviews at the Sands Hotel and Harrah’s Casino, and performing as a singer throughout the New York metropolitan area. Like Ms. Pecevich, Ms. Gerson Wong received her BFA in musical theater from the Boston Conservatory. Robin Gerson Wong and her husband, Denis Wong, purchased the Seven Hills Inn in 2008. Over the past three years, they have restored and redecorated the mansion and its outlying buildings with an eye toward maintaining the original Gilded Age details while introducing the comforts of modern hospitality. For more information, see www.sevenhillsinn.com .